It may be hard for you to tell if your child is overweight. As children grow and develop, some weight changes are normal. 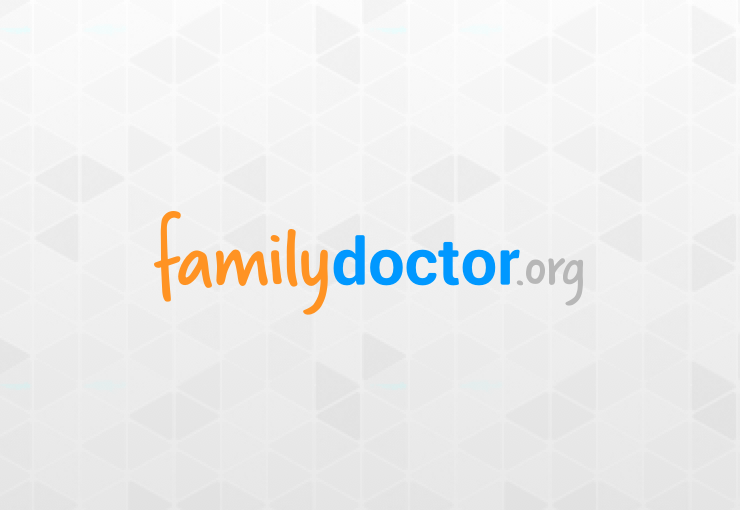 If you’re concerned about your child’s weight, talk to your family doctor. Your doctor will use a chart to find out your child’s ideal weight. If your child is heavier than 95% of other children who are the same age and height, he or she is considered to be overweight. How can I teach my child better eating habits? Provide a healthy diet for your child. Determine how many calories your child should eat, and read the Nutrition Facts Label when eating packaged food. In general, be sure to provide plenty of fruits, vegetables, and whole grains. Your family doctor or a dietitian can answer any questions you have about what to feed your child. Children do not need to drink any sugar-sweetened beverages, such as fruit juice, fruit drink, regular-calorie soft drink, sports drink, energy drink, sweetened or flavored milk, or sweetened iced tea. Instead, have them drink water as much as possible and eliminate or limit any sugar-sweetened beverages. Give them whole fruits to eat rather than fruit juices. Talk with your family doctor or a dietitian about your child’s diet. Get the whole family to start eating a healthier diet, so your child won’t feel alone and will have role models to look up to. Eat meals and snacks together as a family at the table, not in front of the TV. Limit the amount of time your child spends watching TV, playing video games, or sitting in front of a computer to a maximum of 2 hours per day. Encourage your child to eat slowly, and not eat if they are starting to feel full. Don’t make your child eat when he or she isn’t hungry. It’s okay if you child doesn’t eat everything on his or her plate at every meal. Don’t use food to comfort or to reward your child. Don’t offer dessert as a reward for finishing a meal. Doing this teaches your child to value sweets more than other foods. Fast food is typically very high in calories, saturated fat, and trans fat, so eliminate or limit visits to fast-food restaurants. Spend time being active with your child. Go on family walks and play outdoor games together whenever you can. Be a good role model. Make sure that you are making healthy food choices and incorporating exercise into your life, too. If my child is overweight now, will he or she always have a weight problem? Not all children that are overweight have weight problems as adults. However, as a child gets older, their risk for remaining overweight increases. The risk is even higher if one or both parents are also overweight. If your child is overweight, it is important to deal with the issue sooner rather than later. Could my child’s weight problem be caused by a hormonal imbalance? Most children who are overweight do not have a hormone imbalance. Children who have a hormone imbalance grow slower than other children and they often have other symptoms, such as fatigue, constipation, or dry skin. If your child has these symptoms, talk with your doctor. For younger children who are overweight and still actively growing in height, the healthiest goal is usually to have them “grow into” the weight rather than lose weight. Talk to your doctor about realistic goals. The best way to accomplish this is typically for the entire family to eat healthier and to exercise more. As a parent, you can help your child do both. Be patient. It may take some time. Don’t limit how much food your child can eat. Instead, offer food that is healthier, such as vegetables and fruits. At the same time, don’t put too much focus on his or her weight. Make sure you praise your child for his or her strengths, to build self-esteem. One of the best things you can do for your child is to limit TV and other “screen” time (like video games, tablets, and computers). Instead, suggest playing tag, having foot races, skating, and playing other active games. Encourage your child to join school and community sports teams. Take the whole family on walks and bike rides whenever possible. Find ways to add more activity to their day. By encouraging physical activity and involving the whole family, your child is more likely to continue an active lifestyle as he or she matures. Can medicine help my child lose weight? No diet medicines are safe for children.